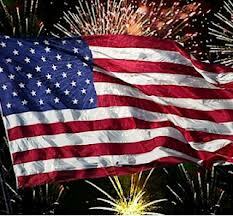 Independence Day originally started as a celebration for the United States liberation from Great Britain. Over the years, culture has shifted, and this has become a day when people of all ages flock towards the beaches for relaxation and time with family and friends. Popular hangout spots, such as Masonboro Island, Mason’s Inlet, and the North End at Carolina Beach, have drawn crowds to Wilmington. Due to an increase in safety concerns in the area during popular holidays, such as Memorial Day and July the fourth, law enforcement has increased patrols and monitoring of the waterways, beaches, and surrounding areas. As of yesterday, emergency officials have already begun preparation for the upcoming weekend. Local news stations report that both the North Carolina Department of Highway Patrol and area law enforcement alike will have increased patrols in an effort to “keep everyone safe.” Wrightsville Beach Police Department reports the main issues they have seen in the past on this holiday are underage drinking and illegal water taxis. Wrightsville Beach Police will work closely with the United States Coast Guard in an effort address these concerns. Those caught without proper permits and or fail to meet other regulations could face hefty fines. It is equally important to understand the long-term consequences of underage drinking. Consumption of alcohol has many negative health consequences, but if one is caught drinking and driving, and or drinking underage, the monetary fines and long term implications are severe. The State of North Carolina has a zero-tolerance policy for underage drinking and driving; offenders could face fines up to $500, be sentenced to serve community service, attend DWI Treatment court, and complete two alcohol education courses. Ramifications of being charged with this crime include having to tell future employers of the charges, as well as universities to which you may be applying. For those over the age of 21, consequences of drinking and driving are still cause of concern. A DWI charge can result in imprisonment for up to three years, fines up to ten thousand dollars, and license suspension. The process of obtaining your driver’s license after suspension due to DWI can prolong the emotional and financial effects of the charges; the defendants face the possibility of having an ignition interlock installed and face an increase in insurance premiums. Attorney David Collins has over 20 years of experience in the legal field, focusing on criminal defense matters. Mr. Collins has helped many clients facing underage drinking, fake ID, DWI, drunk and disorderly, and possession of open container charges. If you or someone you know is facing criminal or traffic charges, please give our office a call at (910) 793-9000.